SWISS THEOLOGIAN KARL BARTH (1886–1968) rocked the world of theology when he published his commentary on Romans in 1919. His focus on God as truly God and his return to Scripture “destroyed the older liberalism, ” in one scholar’s words. Later, Barth helped draft the Barmen Declaration (1934) that declared the true German church could never give ultimate allegiance to the Nazi state. Bonhoeffer never studied with Barth, but he devoured his writings. Barth led the new “dialectical theology ” movement that was rediscovering the great themes of the Reformation and the “strange new world ” within the Bible. Bonhoeffer finally met Barth in the summer of 1931. 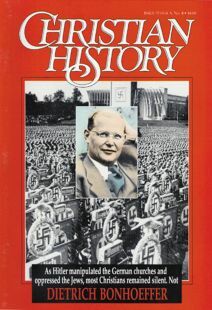 “I was even more impressed by his discussion than by his writings and lectures, ” Bonhoeffer said. The two remained friends, and they became allies, especially in the struggle against the “German Christian ” theology that tried to amalgamate Christianity and Nazism. But Bonhoeffer was an independent thinker. Quite early he criticized Barth for interpreting God’s freedom as more a freedom from the world than a freedom for the world. Toward the end of his life he accused Barth of a “positivism of revelation. ” He apparently meant that though Barth revived the great doctrines of the church, he failed to adequately interpret their meaning for everyday life in the world.